11 languages, 10 programs, 7 minors, 6 certificates all offered through the Department of Foreign Languages and Literature. The UWM Department of Foreign Languages and Literature (FLL) houses the ten language programs listed in the panel above. In addition to instruction in languages, FLL offers a broad array of courses on the cultural and literary history of Ancient Greece and Rome, Israel and the Jewish diaspora, Islam and the Arabic world, Japan, Korea, China, Russia, Poland, Germany, and Scandinavia, along with courses on the Bible, the Holocaust, literary theory, and film. Our faculty, staff, and students produce scholarship in cultural and literary history, literary theory, language pedagogy, linguistics, archaeology, digital humanities, and area studies, as well as scholarly and literary translations. Study Abroad opportunities in languages are most actively available in Chinese, German, Hebrew Studies, Korean, Japanese, Polish, Russian, and Swedish. Germany – Several study abroad opportunities are offered in Germany. The main German overseas exchange program for undergraduates takes place at the Justus Liebig Universität in Giessen, Germany either during our spring semester, from Mid-March till mid-July or for the entire academic year. Students may also participate in one of three International Summer University programs in the state of Hesse, Germany. These summer programs are approximately one month long. Poland – The overseas program in Poland is a five-week Summer Study Program at Catholic University in Lublin. UWM students may study in Poland for a semester or year through other university programs. 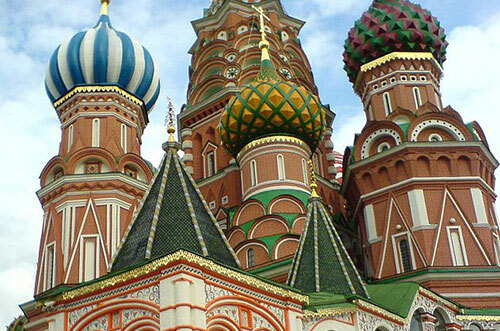 Russia – The Russia study abroad program includes 75 hours of intensive language training at Saratov State University, a homestay with a Russian family, several weekly excursions, travel to Moscow and St. Petersburg, and a cruise down the Volga River. This six-week summer program in Saratov is located 450 miles southeast of Moscow. See the FLL Study Abroad webpage for further information, and the Center for International Education for more study abroad opportunities.